The "AS REAL AS IT GETS" simulation baseball league is a unique format that allows any and all to get involved in the replay of baseball history. This is a STOCK team only league using actual game day lineups and rosters. Our goal is to simulate MAJOR LEAGUE BASEBALL of the past throughout baseball history. Tor 2nd: Failed to score on a hit, one walk and an error. Tor 3rd: Scored 1 run on a hit and one walk. Tor Damaso Garcia singled scoring Martinez to take the lead. Tor 1 Mil 0. Tor 6th: Sent 7 batters to the plate scoring 2 runs on 3 hits, one walk and an error. Tor Willie Aikens singled scoring Upshaw. Tor 2 Mil 0. Tor Rick Leach doubled scoring Aikens. Tor 3 Mil 0. Tor 7th: Sent 7 batters to the plate scoring 1 run on a hit, 2 walks and an error. Tor Willie Upshaw hit a grounder scoring 1, E5. Tor 4 Mil 0. Tor 8th: Sent 7 batters to the plate scoring 1 run on 2 hits and 2 walks. Tor Lloyd Moseby walked scoring Martinez. Tor 5 Mil 0. Tor Doyle Alexander pitched 9 innings and picked up the win: 9 IP, 1 hit, 0 BB, 5 K. He's 9-5 on the year. Mil Jaime Cocanower pitched 6.1 innings and took the loss: 6.1 IP, 3 earned runs, 7 hits, 5 BB, 1 K. He drops to 3-7 on the year. Mil 2nd: Sent 7 batters to the plate scoring 1 run on 3 hits and one walk. Mil Ed Romero singled scoring Simmons to take the lead. Tor 0 Mil 1. Mil 3rd: Scored 1 run on 2 hits. Mil Cecil Cooper hit a liner scoring 1. Tor 0 Mil 2. Tor 4th: Sent 7 batters to the plate scoring 3 runs on 2 hits, and an error. Tor Willie Upshaw tripled scoring 2 to tie the score. Tor 2 Mil 2. Tor Buck Martinez hit a fly ball scoring 1 to take the lead. Tor 3 Mil 2. Mil 4th: Scored 2 runs on 2 hits and one walk. Mil Robin Yount singled scoring 2 to take the lead. Tor 3 Mil 4. Tor 6th: Failed to score on a hit and 2 walks. Mil 7th: Scored 1 run on 3 hits. 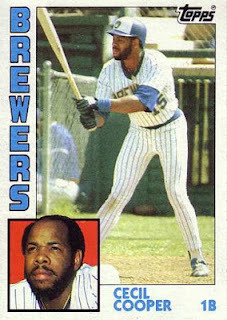 Mil Cecil Cooper singled scoring Yount. Tor 3 Mil 5. Tor 8th: Scored 1 run on 2 hits and one walk. Tor Tony Fernandez singled scoring Martinez. Tor 4 Mil 5. Mil 8th: Sent 9 batters to the plate scoring 4 runs on 3 hits, 2 walks and an error. Mil Robin Yount walked scoring James. Tor 4 Mil 6. Mil Cecil Cooper singled scoring 2. Tor 4 Mil 8. Mil Ted Simmons singled scoring Yount. Tor 4 Mil 9. 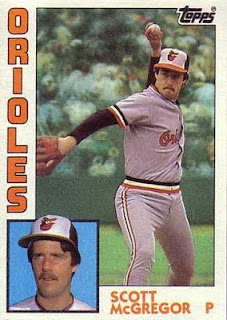 Mil Bob McClure pitched 7 innings and picked up the win: 7 IP, 3 earned runs, 6 hits, 3 BB, 2 K. He's now 1-4 on the season. Mil Tom Tellmann pitched a shutout the final 2 innings earning his 1st save. 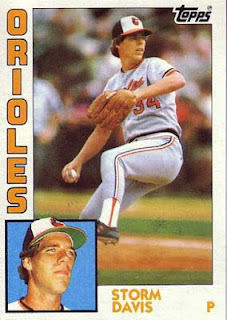 Tor Jim Acker pitched 3.2 innings and took the loss: 3.2 IP, 4 earned runs, 8 hits, 2 BB, 1 K. He's 0-3 on the season. Mil 1st: Scored 2 runs on 2 hits, one walk and an error. Mil Cecil Cooper hit a fly ball scoring 1 to take the lead. Tor 0 Mil 1. Mil Ben Oglivie singled scoring Yount. Tor 0 Mil 2. Mil 3rd: Scored 1 run on 2 hits and 2 walks. Mil Ben Oglivie doubled scoring Gantner. Tor 0 Mil 3. Tor 4th: Scored 1 run on 2 hits, and an error. Tor Willie Aikens singled scoring Moseby. Tor 1 Mil 3. Mil 5th: Scored 1 run on 2 hits and one walk. Mil Ted Simmons hit a grounder scoring 1. Tor 1 Mil 4. Mil 6th: Scored 1 run on 2 hits. Mil Rick Manning hit a 411 foot solo HR(4). Tor 1 Mil 5. Mil 7th: Sent 7 batters to the plate scoring 1 run on 4 hits. Mil Roy Howell singled scoring Oglivie. Tor 1 Mil 6. 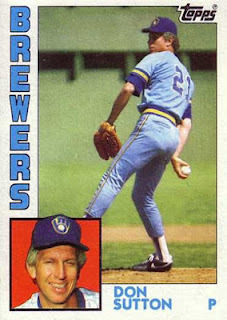 Mil Don Sutton pitched 7.2 innings and picked up the win: 7.2 IP, 5 hits, 0 BB, 0 K. He's 5-5 on the year. Tor Luis Leal pitched 5 innings and took the loss: 4 earned runs, 8 hits, 0 BB, 0 K. He goes to 6-7 on the year. Tor 4th: Scored 1 run on a hit. Tor Willie Upshaw hit a solo HR(8) to take the lead. Tor 1 Mil 0. Tor 5th: Scored 1 run on a hit and one walk. Tor Buck Martinez hit a solo HR(3). Tor 2 Mil 0. Tor 7th: Sent 7 batters to the plate scoring 2 runs on 3 hits and one walk. Tor Willie Upshaw singled scoring 2. Tor 4 Mil 0. Mil 7th: Sent 7 batters to the plate scoring 2 runs on 3 hits and one walk. Mil Cecil Cooper hit a 2 run HR(7). Tor 4 Mil 2. Tor 8th: Scored 1 run on 2 hits. 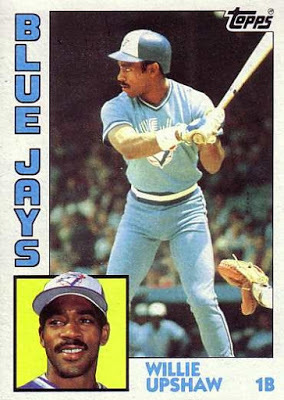 Tor George Bell hit a solo HR(13). Tor 5 Mil 2. Tor Willie Upshaw: 3 for 5, double, HR, 3 RBI. Tor Jim Clancy pitched 7.1 innings and picked up the win: 7.1 IP, 2 earned runs, 5 hits, 3 BB, 4 K. He's 4-6 on the season. Tor Dennis Lamp held Milwaukee hitless the final 1.2 innings to record his 1st save of the year. Mil Chuck Porter pitched 6.2 innings and took the loss: 6.2 IP, 4 earned runs, 7 hits, 4 BB, 2 K. He drops to 4-3 on the year. LAD 1st: Scored 2 runs on 2 hits and one walk. LAD Candy Maldonado doubled scoring 2 to take the lead. LAD 2 Cin 0. LAD 4th: Sent 9 batters to the plate scoring 4 runs on 5 hits and one walk. LAD Candy Maldonado hit a solo HR(2). LAD 3 Cin 0. 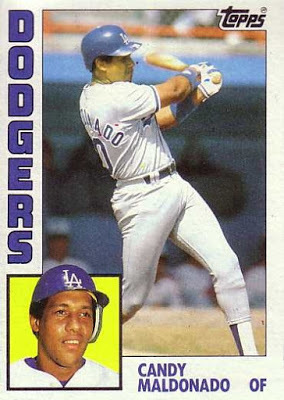 LAD Steve Sax singled scoring 2. LAD 5 Cin 0. LAD R.J. Reynolds singled scoring Sax. LAD 6 Cin 0. Cin 4th: Sent 7 batters to the plate scoring 4 runs on 3 hits and one walk. Cin Dave Parker singled scoring 2. LAD 6 Cin 2. Cin Dave Concepcion hit a 2 run HR(2). LAD 6 Cin 4. LAD 5th: Sent 7 batters to the plate scoring 1 run on 2 hits and 2 walks. LAD Steve Yeager singled scoring 1. LAD 7 Cin 4. Cin 8th: Scored 1 run on 2 hits. Cin Dave Parker singled scoring Cedeno. LAD 7 Cin 5. LAD R.J. Reynolds: 2 for 4, HR. LAD Franklin Stubbs: 1 for 1, HR. 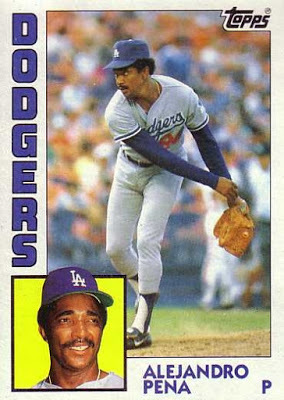 LAD Fernando Valenzuela pitched 9 innings and picked up the win: 9 IP, 5 earned runs, 8 hits, 2 BB, 12 K. He's 8-3 on the year. Cin Joe Price pitched poorly for 4 innings and took the loss: 7 earned runs, 10 hits, 2 BB, 0 K. He's now 5-7 on the year. LAD 1st: Scored 1 run on a hit. LAD Ken Landreaux hit a fly ball scoring 1 to take the lead. LAD 1 Cin 0. Cin 2nd: Scored 1 run on 2 hits. Cin Ron Oester doubled scoring Gulden to tie the score. LAD 1 Cin 1. LAD 5th: Sent 7 batters to the plate scoring 4 runs on 2 hits and 2 walks. LAD Alejandro Pena bunted scoring Scioscia to take the lead. LAD 2 Cin 1. LAD Steve Sax hit a grounder scoring 1. LAD 3 Cin 1. LAD R.J. Reynolds singled scoring Anderson. LAD 4 Cin 1. LAD Ken Landreaux hit a grounder scoring 1. LAD 5 Cin 1. LAD Alejandro Pena pitched 9 innings and picked up the win: 9 IP, 1 earned run, 5 hits, 2 BB, 6 K. He moves to 7-3 on the season. Cin Jeff Russell pitched 9 innings and took the loss: 9 IP, 5 earned runs, 3 hits, 4 BB, 1 K. He drops to 6-4 on the season. Cin 1st: Scored 2 runs on 4 hits. Cin Eddie Milner doubled scoring Redus to take the lead. LAD 0 Cin 1. Cin Cesar Cedeno doubled scoring Milner. LAD 0 Cin 2. LAD 4th: Sent 8 batters to the plate scoring 2 runs on 4 hits and one walk. LAD Mike Scioscia singled scoring 1. LAD 1 Cin 2. LAD Bill Russell singled scoring Guerrero to tie the score. LAD 2 Cin 2. LAD 5th: Scored 1 run on a hit. LAD R.J. Reynolds hit a solo HR(1) to take the lead. LAD 3 Cin 2. Cin 6th: Scored 1 run on 2 hits. Cin Dave Parker singled scoring Cedeno to tie the score. LAD 3 Cin 3. Cin 9th: Scored 1 run on 2 hits and one walk. Cin Ron Oester singled scoring Walker to win the game. LAD 3 Cin 4. Cin Johnny Franco pitched 2 innings and picked up the win: 2 IP, 3 hits, 0 BB, 1 K. He's 4-1 on the year. LAD Pat Zachry pitched 1.2 innings and took the loss: 1.2 IP, 1 earned run, 2 hits, 1 BB, 2 K. He drops to 1-5 on the season. Det 1st: Scored 1 run on a hit. Det Kirk Gibson hit a fly ball scoring 1 to take the lead. Det 1 Mil 0. Mil 2nd: Scored 1 run on 2 hits. Mil Cecil Cooper hit a solo HR(5) to tie the score. Det 1 Mil 1. Det 3rd: Scored 1 run on 2 hits. Det Alan Trammell singled scoring Johnson to take the lead. Det 2 Mil 1. Det 4th: Scored 1 run on 2 hits and one walk. Det John Grubb singled scoring Parrish. Det 3 Mil 1. Mil 4th: Scored 1 run on a hit and 2 walks. Mil Roy Howell doubled scoring Oglivie. Det 3 Mil 2. Mil 6th: Scored 1 run on a hit. Mil Ben Oglivie hit a solo HR(6) to tie the score. Det 3 Mil 3. Det 7th: Scored 1 run on 2 hits and one walk. Det Alan Trammell singled scoring Jones to take the lead. Det 4 Mil 3. Mil 7th: Sent 7 batters to the plate scoring 2 runs on 5 hits. Mil Jim Gantner singled, hit streak now 12. 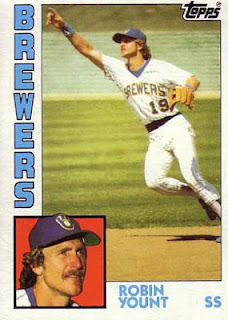 Mil Robin Yount singled scoring Manning to tie the score. Det 4 Mil 4. Mil Cecil Cooper singled scoring Gantner to take the lead. Det 4 Mil 5. Det Howard Johnson: 2 for 3, double, 2 runs. Mil Dion James: 2 for 5, HR, 2 runs. Mil Jaime Cocanower pitched 7.2 innings and picked up the win: 7.2 IP, 4 earned runs, 8 hits, 3 BB, 1 K. He's 3-5 on the year. Mil Rollie Fingers got the save, his 5th of the year. Det Willie Hernandez pitched 2 innings and took the loss: 2 IP, 1 BB, 2 K. He goes to 5-6 on the year. Det Lou Whitaker hit a solo HR(7) to take the lead. Det 1 Mil 0. Mil : Jim Gantner singled, hit streak now 13. Mil 3rd: Scored 2 runs on 2 hits, and 2 errors. Mil Jim Gantner singled scoring James to tie the score. Det 1 Mil 1. Mil Robin Yount doubled scoring Gantner to take the lead. Det 1 Mil 2. Det 8th: Sent 7 batters to the plate scoring 2 runs on a hit, 2 walks and an error. Det Lou Whitaker singled scoring Jones to tie the score. Det 2 Mil 2. Det Alan Trammell hit a fly ball scoring 1 to take the lead. Det 3 Mil 2. Det 9th: Failed to score 2 walks and an error. Det Aurelio Lopez pitched 2 innings and picked up the win: 2 IP, 2 hits, 1 BB, 2 K. He's 3-2 on the year. 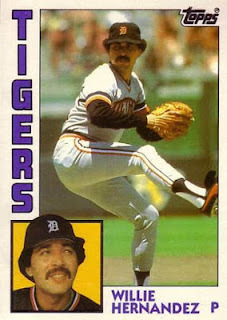 Det Willie Hernandez held Milwaukee hitless the final 2 innings to record save number 18. Mil Tom Tellmann pitched 1.2 innings and took the loss: 1.2 IP, 1 earned run, 1 hit, 3 BB, 0 K. He's now 2-4 on the year. Mil 1st: Sent 7 batters to the plate scoring 2 runs on 4 hits. Mil Ben Oglivie singled scoring James to take the lead. Det 0 Mil 1. Mil Ted Simmons singled scoring Cooper. Det 0 Mil 2. Mil 2nd: Scored 1 run on a hit. Mil Dion James hit a solo HR(2). Det 0 Mil 3. Det 3rd: Scored 3 runs on 3 hits. Det Barbaro Garbey hit a fly ball scoring 1. Det 1 Mil 3. Det Lance Parrish hit a 2 run HR(18) to tie the score. Det 3 Mil 3. Det 5th: Sent 7 batters to the plate scoring 3 runs on 3 hits, and an error. Det Alan Trammell hit a grounder scoring 1 to take the lead. Det 4 Mil 3. Det Chet Lemon doubled scoring 2. Det 6 Mil 3. Mil 6th: Failed to score on 2 hits and one walk. Det 8th: Sent 7 batters to the plate scoring 4 runs on 3 hits and one walk. 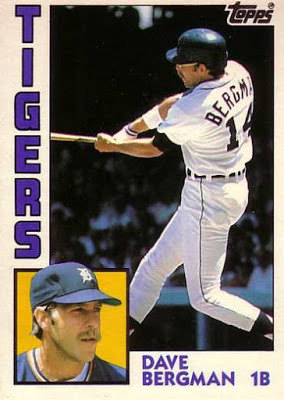 Det Dave Bergman tripled scoring 3. Det 9 Mil 3. Det Alan Trammell hit a grounder scoring 1. Det 10 Mil 3. Det Dave Rozema pitched 5 innings to earn the win: 3 earned runs, 9 hits, 0 BB, 1 K. He's 3-0 on the year. Mil Bob McClure pitched 7 innings and took the loss: 7 IP, 6 earned runs, 12 hits, 0 BB, 5 K. He drops to 0-3 on the year. Hou 1st: Scored 1 run on a hit, and an error. Hou Jose Cruz hit a fly ball scoring 1, E9 to take the lead. Cin 0 Hou 1. Cin 2nd: Scored 1 run on a hit and one walk. Cin Nick Esasky hit a solo HR(4) to tie the score. Cin 1 Hou 1. Hou 5th: Scored 1 run on a hit. Hou Mark Bailey hit a solo HR(1) to take the lead. Cin 1 Hou 2. Cin 6th: Scored 1 run on 2 hits and one walk. Cin Dann Bilardello hit a fly ball scoring 1 to tie the score. Cin 2 Hou 2. Hou 6th: Scored 2 runs on 2 hits. Hou Craig Reynolds hit a grounder scoring 1 to take the lead. Cin 2 Hou 3. Hou Harry Spilman hit a solo HR(3). Cin 2 Hou 4. Cin 7th: Scored 1 run on a hit. Cin Gary Redus hit a solo HR(4). Cin 3 Hou 4. Cin Dann Bilardello doubled scoring Lawless to tie the score. Cin 4 Hou 4. Cin 2th: Scored 3 runs on 3 hits. Cin Tom Foley hit a 3 run HR(3) to take the lead. Cin 7 Hou 4. Hou Enos Cabell: 4 for 6, 2 RBI, 2 runs. Hou Bill Doran: 2 for 4, 4 runs, 2 W, 2 great plays. Hou Phil Garner: 3 for 4. Hou Jerry Mumphrey: 4 for 5, triple, 4 RBI, 2 runs. Hou Craig Reynolds: 3 for 6, 3 runs. Cin Bill Scherrer picked up the win: 1 IP, 1 earned run, 3 hits. He's 2-3 on the year. Hou Mike LaCoss took the loss: 1 IP, 3 earned runs, 3 hits. He's now 0-3 on the season. Hou 2nd: Sent 8 batters to the plate scoring 4 runs on 4 hits and one walk. Hou Alan Ashby singled scoring Mumphrey to take the lead. Cin 0 Hou 1. Hou Bill Doran singled scoring Ashby. Cin 0 Hou 2. Hou Craig Reynolds tripled scoring 2. Cin 0 Hou 4. Cin 3rd: Scored 1 run on a hit. Cin Ron Oester hit a solo HR(2). Cin 1 Hou 4. Hou 3rd: Scored 2 runs on 2 hits and one walk. Hou Terry Puhl singled scoring Cruz. Cin 1 Hou 5. Hou Alan Ashby hit a fly ball scoring 1. Cin 1 Hou 6. Hou 4th: Scored 1 run on 2 hits. Hou Jose Cruz hit a fly ball scoring 1. Cin 1 Hou 7. Cin 5th: Failed to score on a hit and 2 walks. Cin 7th: Scored 1 run on 2 hits and one walk. Cin Tom Foley singled scoring Walker. Cin 2 Hou 7. Hou 8th: Sent 7 batters to the plate scoring 3 runs on 3 hits and one walk. Hou Jose Cruz hit a fly ball scoring 1. Cin 2 Hou 8. Hou Jerry Mumphrey singled scoring 2. Cin 2 Hou 10. 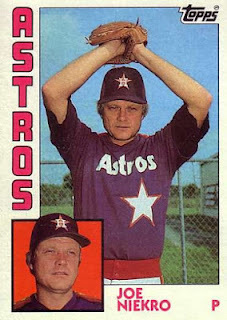 Hou Joe Niekro pitched 9 innings and picked up the win: 9 IP, 2 earned runs, 4 hits, 3 BB, 9 K. He's now 7-4 on the year. Cin Bruce Berenyi was the loser: .1 IP, 2 earned runs, 2 hits, 2 BB. He's now 2-5 on the year. Hou 1st: Scored 1 run on a hit and one walk. Hou Jose Cruz hit a fly ball scoring 1 to take the lead. Cin 0 Hou 1. Hou 2nd: Scored 1 run on 2 hits and one walk. Hou Bob Knepper doubled scoring Puhl. Cin 0 Hou 2. Hou 3rd: Scored 1 run on 3 hits. Hou Jerry Mumphrey singled scoring Reynolds. Cin 0 Hou 3. Hou 4th: Sent 11 batters to the plate scoring 6 runs on 7 hits and one walk. Hou Craig Reynolds singled scoring Garner. Cin 0 Hou 4. Hou Enos Cabell singled scoring Doran. Cin 0 Hou 5. Hou Jose Cruz singled scoring Reynolds. Cin 0 Hou 6. Hou Jerry Mumphrey singled scoring Cabell. Cin 0 Hou 7. Hou Terry Puhl singled scoring Cruz. Cin 0 Hou 8. Hou Phil Garner singled scoring Mumphrey. Cin 0 Hou 9. Hou 5th: Sent 10 batters to the plate scoring 5 runs on 5 hits and 2 walks. Hou Enos Cabell singled scoring Doran. Cin 0 Hou 10. Hou Jerry Mumphrey tripled scoring 2. Cin 0 Hou 12. Hou Alan Ashby singled scoring 2. Cin 0 Hou 14. Hou 6th: Scored 1 run on 3 hits. Hou Jose Cruz hit a grounder scoring 1. Cin 0 Hou 15. Cin 7th: Sent 9 batters to the plate scoring 5 runs on 6 hits and one walk. Cin Dann Bilardello singled scoring 1. Cin 1 Hou 15. Cin Wayne Krenchicki singled scoring Oester. Cin 2 Hou 15. Cin Eddie Milner singled scoring 1. Cin 3 Hou 15. 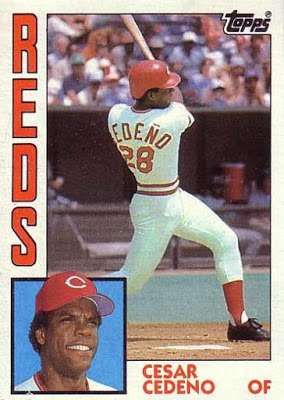 Cin Cesar Cedeno doubled scoring 2. Cin 5 Hou 15. Hou Bob Knepper pitched 9 innings and picked up the win: 9 IP, 5 earned runs, 10 hits, 1 BB, 7 K. He's 8-2 on the year! 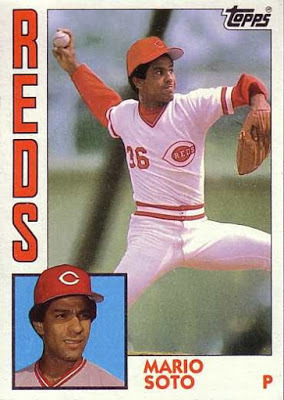 Cin Joe Price pitched poorly for 3.2 innings and took the loss: 7 earned runs, 9 hits, 3 BB, 3 K. He's 5-6 on the year. Mil 4th: Scored 1 run on 3 hits. Mil Robin Yount singled scoring Simmons to take the lead. Bal 0 Mil 1. Bal 5th: Scored 1 run on 3 hits. Bal Al Bumbry singled scoring Young to tie the score. Bal 1 Mil 1. Mil 5th: Scored 1 run on a hit, one walk and an error. Mil Randy Ready hit a grounder scoring 1, E6 to take the lead. Bal 1 Mil 2. Bal 6th: Scored 2 runs on 2 hits. Bal Mike Young hit a 2 run HR(3) to take the lead. Bal 3 Mil 2. Bal 9th: Sent 7 batters to the plate scoring 2 runs on 3 hits and 2 walks. Bal Rich Dauer hit a grounder scoring 1. Bal 4 Mil 2. Bal Cal Ripken singled scoring Rayford. Bal 5 Mil 2. Mil 9th: Scored 1 run on 2 hits and one walk. Mil Dion James singled scoring Clark. Bal 5 Mil 3. Bal Eddie Murray: 3 for 4, triple. Bal Al Bumbry: 3 for 5. Mil Jim Sundberg: 3 for 3. Bal Scott McGregor pitched 8.1 innings to earn the win: 2 earned runs, 7 hits, 0 BB, 0 K. He's 9-4 on the year. Bal Tippy Martinez got the save, his 10th of the year. Mil Don Sutton pitched 7 innings and took the loss: 7 IP, 3 earned runs, 8 hits, 0 BB, 0 K. He's 4-4 on the season. Bal 1st: Scored 1 run on a hit. Bal Cal Ripken hit a liner scoring 1 to take the lead. Bal 1 Mil 0. Bal 3rd: Failed to score on a hit, one walk and an error. Bal 4th: Sent 8 batters to the plate scoring 3 runs on 2 hits and 3 walks. Bal John Shelby singled scoring 1. Bal 2 Mil 0. Bal Rich Dauer walked scoring Cruz. Bal 3 Mil 0. Bal Cal Ripken hit a fly ball scoring 1. Bal 4 Mil 0. Bal 5th: Failed to score on 2 hits and one walk. Bal 7th: Scored 1 run on a hit. Bal Eddie Murray hit a 415 foot solo HR(15). Bal 5 Mil 0. Bal 8th: Failed to score on a hit, one walk and an error. Bal Storm Davis pitched 9 innings and picked up the win: 9 IP, 5 hits, 0 BB, 2 K. He's 9-5 on the year. 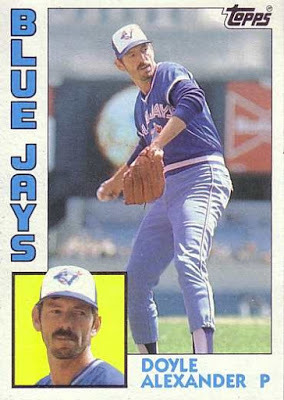 Mil Bob McClure pitched 6 innings and took the loss: 6 IP, 5 earned runs, 8 hits, 6 BB, 5 K. He drops to 0-2 on the year. Mil 1st: Scored 1 run on a hit. Mil Randy Ready hit a solo HR(2) to take the lead. Bal 0 Mil 1. Bal 3rd: Scored 2 runs on 2 hits, and an error. Bal Cal Ripken doubled scoring 2 to take the lead. Bal 2 Mil 1. Mil 4th: Scored 1 run on 2 hits, and an error. Mil Bobby Clark hit a grounder scoring 1 to tie the score. Bal 2 Mil 2. Bal 6th: Scored 3 runs on 3 hits. Bal Cal Ripken hit a solo HR(12) to take the lead. Bal 3 Mil 2. Bal Ken Singleton hit a 2 run HR(4). Bal 5 Mil 2. Bal 8th: Scored 1 run on a hit. 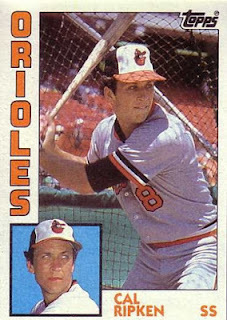 Bal Cal Ripken hit a solo HR(13). Bal 6 Mil 2. Mil 8th: Scored 1 run on 3 hits. Mil Jim Sundberg singled scoring Oglivie. Bal 6 Mil 3. Bal 9th: Scored 1 run on 2 hits and one walk. Bal Ken Singleton hit a solo HR(5). Bal 7 Mil 3. Bal Mike Flanagan pitched 6 innings and picked up the win: 6 IP, 1 earned run, 8 hits, 3 BB, 4 K. He goes to 6-3 on the year. Mil Moose Haas pitched 8 innings and took the loss: 8 IP, 4 earned runs, 10 hits, 0 BB, 2 K. He's 3-6 on the year. Bal 1st: Failed to score on 2 hits and one walk. Mil 1st: Scored 1 run on 3 hits. Mil Jim Gantner singled, hit streak now 11. Mil Robin Yount hit a fly ball scoring 1 to take the lead. Bal 0 Mil 1. Bal 2nd: Scored 2 runs on 2 walks. Bal Ken Singleton scored on a WP by Gibson to tie the score. Bal 1 Mil 1. Bal Floyd Rayford hit a grounder scoring 1 to take the lead. Bal 2 Mil 1. Bal 8th: Sent 7 batters to the plate scoring 2 runs on 4 hits. 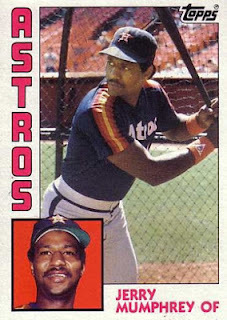 Bal Ken Singleton singled scoring Murray. Bal 3 Mil 1. Bal Lenn Sakata singled scoring 1. Bal 4 Mil 1. Bal 9th: Sent 7 batters to the plate scoring 2 runs on 3 hits and one walk. Bal Eddie Murray singled scoring Shelby. Bal 5 Mil 1. Bal Ken Singleton singled scoring Ripken. Bal 6 Mil 1. 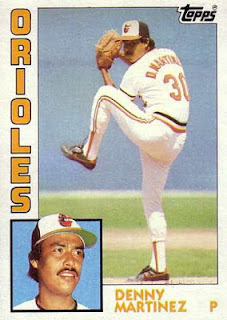 Bal Dennis Martinez pitched 9 innings and picked up the win: 9 IP, 1 earned run, 5 hits, 2 BB, 2 K. He moves to 1-1 on the year. Mil Bob Gibson pitched 7 innings and took the loss: 7 IP, 2 earned runs, 2 hits, 6 BB, 10 K. He drops to 1-3 on the year.